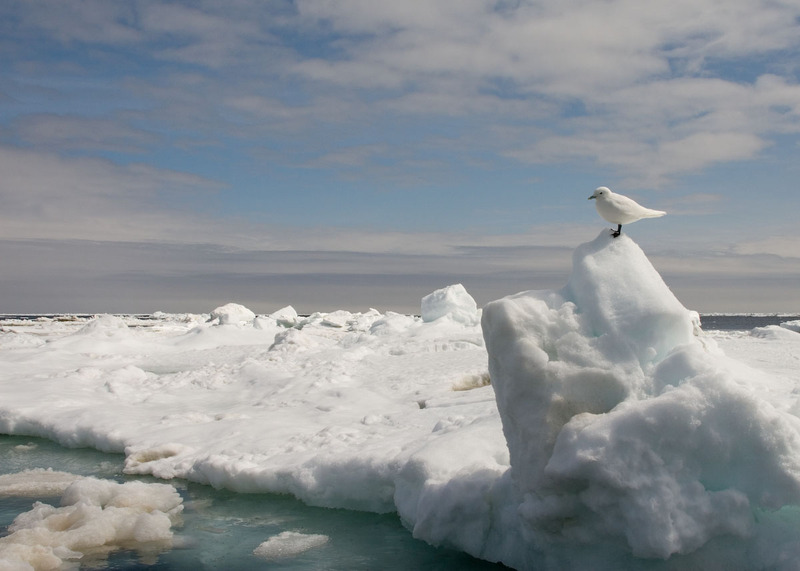 An Ivory Gull. Will they be next? The ongoing loss of sea-ice cover is wreaking havoc on ecosystems across the Arctic, and may spell the end of more species than previously thought. Story here.